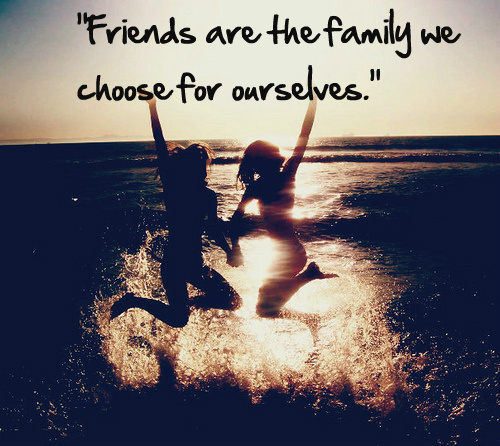 Priya Rana Kapoor Blog: Who's In Your Family? We often consider the strength of a person’s character in terms of his or her relationship to his or her family. Someone with strong family values, who is close to his or her family, is perceived to have admirable qualities. But we all face diverse experiences, and our definitions of family are altered by the style of our upbringings. A year and a half ago, I visited India for the first time with a stepbrother from my father’s side of the family. My father was from the Punjab. I had reunited with this brother only three years earlier and he just happens to be 25 years older than I. His adult children had connected with me via Facebook, opening up a whole new side of my family. My half brother graciously hosted me in New Delhi for two weeks. I struggled with accepting his brotherly love and care, as it was quite foreign to me, but I appreciated it nonetheless. One day, as we were on our way to visit someone, I asked him who we were visiting, and he told me that we were going to see “our cousin.” “Not really our cousin,” I thought aloud. But he informed me that we were indeed going to see my cousin – her father had been my uncle! The visit with my cousin was perfectly delightful, but I felt a slight detachment from this side of my family – this side of myself. These were members of my family, because we were linked by blood. But they were not the family I had grown up with, and they had not contributed as much to my growth and development. My mum, sister, grandparents, my godparents and my best friend Kate and her family have been with me through thick and thin. I learned my most important values from them, and they shaped the person I became. The love I received from these people created my foundation. The closeness I feel to them shapes my definition of my family – even though I am not related to my godparents or to Kate and her family by blood. There is no question I think of them as family. My intern is fond of the idea that friends are the family we choose. We are shaped by love, not necessarily blood, though of course there is great importance in biological family as well. Unfortunately, in some cases biological families are not `always the best people for us. Those who provide us the love and support we need through many different times become a different sort of family. This family’s love gives us strength to take responsibility for ourselves and grow forward with confidence. Ultimately, our family is whomever we decide it is.